Iraqi Oil Minister Samir Al-Ghazban said on Wednesday that his country has for years suffered a lot from sanctions, as it is principally opposed to any sanctions. For the same reason, Iraq is opposed to any sanctions and economic siege against any people, he said. Elsewhere in his speech, he hailed good ties between the two countries in various fields, saying that Iran and Iraq are neighbors and OPEC members. Fortunately, bilateral ties have always been growing over the past years, he went on to say. Al-Ghazban, appointed as Iraqi new oil minister recently, called for efforts to further boost ties, particularly in the energy sector. 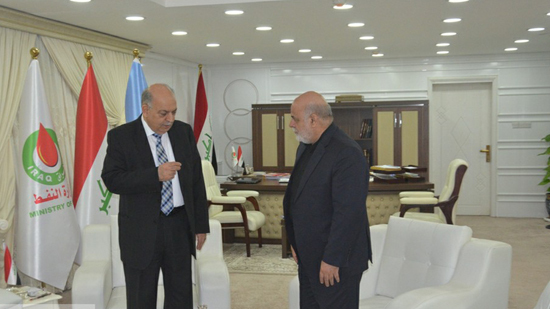 Masjedi, for his part, congratulated his election as new Iraqi oil minister and voiced readiness of Iran’s Embassy to Iraq to prepare the grounds for promoting all-out collaboration with Iran in various sectors, including energy and oil. He expressed Iran’s preparedness to help strengthen cooperation in all fields and remove potential obstacles on the way.